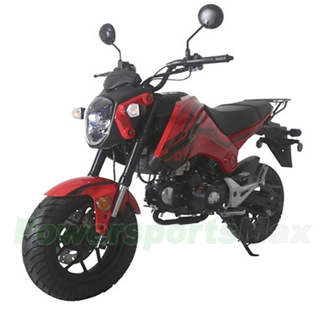 MC-T28 125cc Street Motorcycle with 4-Speed Manual Transmission, Electric Start! 12" Alloy Rim Wheels! Original Factory Package (FREE)Fully Assembled & PDI (+$149.95) What is fully assembled & PDI? Free: Liftgate Service, other companies may charge you addtional $75 for it! Our competitors may charge you $55 for sending you bill of sale and MSO. Yes, it does take some time and create those paper work and send it to you. However, the paper work doesn't come with your bike, you need to submit MSO Request after receiving bike. We offer those documents to you totally free! As soon as you submit a MSO Request to us, our MSO staff will mail those documents to you promptly. Feisty 125cc, single-cylinder, air-cooled and 4-stroke engine puts out strong, predictable power with incredible gas mileage. 4-Speed Manual Transmission Pro biker's choice! Front and Rear Hydraulic Disc brakes supply strong, reliable stopping power. 120/70-12 front and 120/70-12 rear Alloy Rim tires offer great traction. Dual shock absorber Front Suspension. Rear Single shock absorber suspension. Free-maintenance battery provides durable electric power. Carton Dimension 64 x 22 x 32"
Shipping charge for one single unit of MC-T28 is $239.95(Please login to see real shipping charge for these states: Florida, New York, District of Columbia, Connecticut, Maine, Maryland, Massachusetts, Montana, New Hampshire, New Jersey, Pennsylvania, Rhode Island, Vermont, West Virginia, Delaware, etc.) 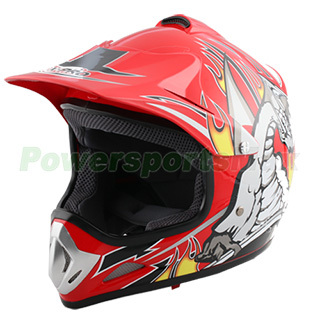 , and you will get discounted shipping price if you order multiple item. Scooter riding is great fun! When you take proper safety precautions, injury is less likely to occur. As a responsible rider, you must outfit yourself in appropriate safety gear every time you ride. Doing so keeps injuries and equipment damage to a minimum. The head, arms, and legs are the most often injured in a crash. To Protect your head, always wear a helmet. 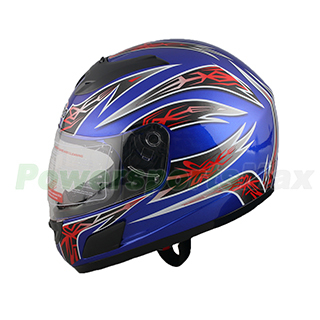 According to the National Highway Traffic Safety Administration (NHTSA): "Motorcycle helmets are 67-percent effective in preventing brain and face injuries. Unhelmeted motorcyclists are more than three times more likely to suffer brain injuries in crashes than those using helmets." Buy a helmet safety approved by the Department of Transportation. It will have "D.O.T." stamped on the back, near the base. 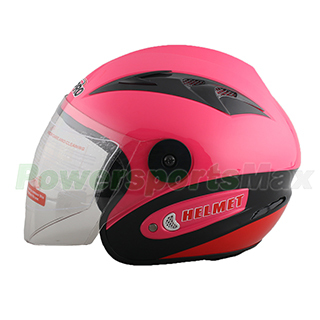 It should fit snugly, allowing very little head movement within the helmet. To protect your arms, you need a good motorcycle jacket. A good jacket will be made of nylon, leather, or Kevlar and be well constructed. Check out the seams at any of your sharp points (elbows, shoulders, etc). The stitching should be strong and enforced at these points. Also, a good jacket will include heavy padding on the elbow, spine, which is very important, and the shoulders. Additionally, if the jacket is nylon or Kevlar, it should include reflective stripes. To protect your legs, it's worth it to invest in pants made specifically for motorcycle riders. Like a jacket, good pants will be made of leather, nylon, or Kevlar. For winter riding, pants can not only offer protection, they can keep you warm. Insulated pants or chaps are a good choice and can be bought coated for rain resistance. If you are serious about riding, and want to really protect your limbs, you can invest in a one or two piece suit. Although a bit expensive, these offer substantial protection in case of a fall and go on and off quickly. If you are going to the office, you can fit a suit right over your (other) suit or khakis. Look for a suit that offers lots of armor pads, and has good venting; these can get hot in the summer. Gloves should be worn regardless or weather, and there are different types for warm and cold weather. Warm weather gloves are usually leather or Kevlar and good ones have carbon fiber knuckle protection and are un-insulated but provide protection should you fall. Winter gloves provide the same level of protection, but are insulated. Waterproofing is also a good idea. Last thing you need are some protective boots. A motorcyclist should have boots with a short heel; this allows the boot to fit on the motorcycle peg while still providing good ankle support. Boots should be at least 6" tall as that will offer some ankle protection. Boots can be as high as 17", which are useful for use against cold wind. Leather is a great choice for a boot, as leather provides much greater protection than that stylish, yet utterly thin, fabric on your new Nikes. Make sure the boot has a good, durable rubber sole that provides traction and slip resistance. The thicker the sole, the more the boot will absorb the vibration of the bike. 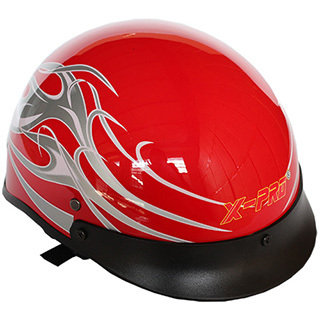 X-PRO® Black Open Face Dual Visor Motorcycle Helmet- Black Free Shipping! The bike is great as a beginner bike for my son. However not just my son but my neighbor who has never ridden before has now got on there a few times and enjoys it. It is a great product this far. Only had to change the head light. I Would Like To Say That The TaoTao 125cc Scooter I Recently Purchased From You Is Great. It Runs Better Than I Thought It Would. Thanks Again Keep Up The Good Work. Ours came recently. Took 2 people about an hour to assemble. We fell in love instantly. I weigh 175 and my son is roughly 57 lbs. with both on it, flat surface we reached 50mph. Absolutely loving it so far. So far a great scooter, no problems with it. Great choice for your money highly recommend. The bike is great as a beginner bike for my son. However not just my son but my neighbor who has never ridden before has now got on there a few times ..